For over forty years, Art Keller has been on the front lines of America's longest conflict: The War On Drugs. His obsession to defeat the world's most powerful, wealthy, and lethal kingpin - the godfather of the Sinaloa Cartel, AdÃ¡n Barrera - has left him bloody and scarred, cost him people he loves, even taken a piece of his soul. Barrera's final legacy is the heroin epidemic scourging America. Throwing himself into the gap to stem the deadly flow, Keller finds himself surrounded by enemies - men that want to kill him, politicians that want to destroy him, and worse, the unimaginable - an incoming administration that's in bed with the very drug traffickers that Keller is trying to bring down. Art Keller is at war with not only the cartels, but with his own government. And the long fight has taught him more than he ever imagined. Now, he learns the final lesson - there are no borders. A shattering tale of vengeance, violence, corruption and justice, this last novel in Don Winslow's magnificent, award-winning, internationally bestselling trilogy is packed with unforgettable, drawn-from-the-headlines scenes. Shocking in its brutality, raw in its humanity, Untitled is an unflinching portrait of modern America, a story of - and for - our time. 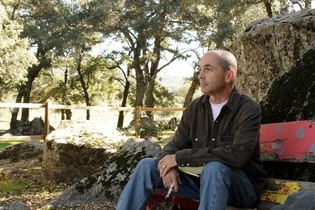 Don Winslow (b. 1953) is the New York Times bestselling author of thirteen crime and mystery novels as well as short stories and film screenplays. A Cool Breeze on the Underground, Winslow's debut and the first novel in his popular Neal Carey series, was nominated for an Edgar Award. Before becoming a fulltime writer, Winslow worked as a private detective in New York and California.